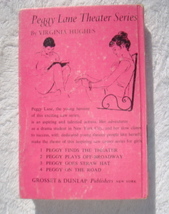 This is #3 in the Peggy Lane Theater Stories series of 8 volumes about a young aspiring actress. Picture cover published by Grosset Dunlap in 1963, copyright in the same year. 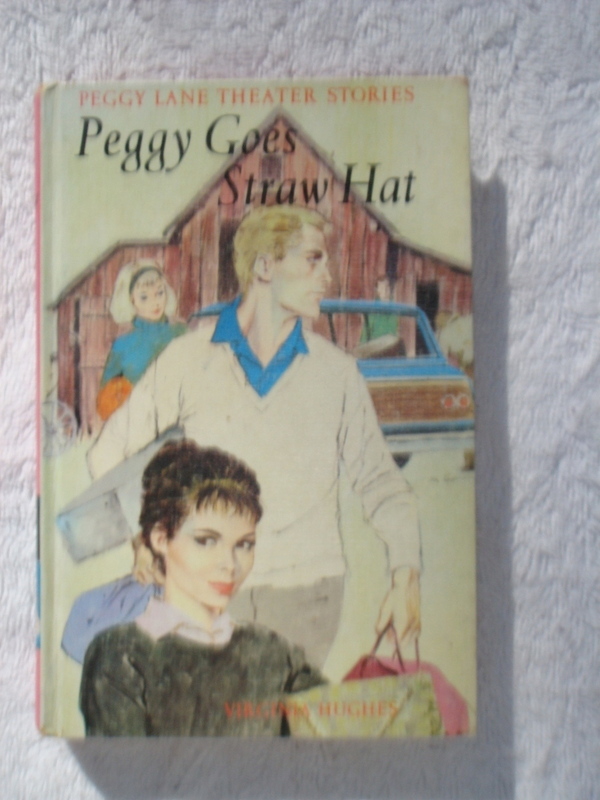 Hard to tell if it's a first edition, because it does list on the back cover the following book in the series, Peggy on the Road, published later in the same year, 1963. It may be that #4 was planned but not then published yet, which would make the present book a first edition. 15 chapters, 172 pages. Author "Virginia Hughes" was pen name of several Grosset Dunlap team writers, but this particular volume is attributed to Geraldine Wallis. Illustrated by Sergio Leone. Nice tight square book with minor bump wear. No writing, marking, tearing or other internal damage. Some abrasion wear on the rear cover, along with a scratch with slight bulging on the rear cover. Some grunding on the page block. Hinges good. Note:Â Sorry, New York residents - an 8.75% sales tax applies.